General Abdul Raziq once boasted he had survived "countless" Taliban attempts to kill him. On Thursday the Afghan terror group finally succeeded when an assassin disguised as a governor's bodyguard shot him dead. The controversial Kandahar police chief, described by Human Rights Watch last year as the southern province's "torturer in chief", had risen through the ranks to become one of the most powerful security heads in Afghanistan. Widely seen as a bulwark against the Taliban insurgency, Raziq's death has left a dangerous security vacuum that one observer said could lead to a "meltdown" in the south, the Taliban movement's birthplace. "He was the one guaranteeing security in Kandahar," said a foreign diplomat in Kabul. 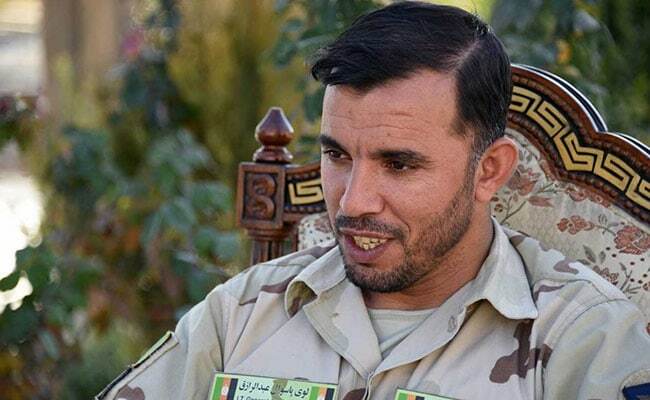 Raziq, 39, who controlled the province with an iron hand, was admired by many ordinary Afghans and hated by the Taliban in equal measure. Despite accusations of running secret torture chambers, "crushing the testicles" of detainees, and killing thousands of Taliban prisoners -- which he denied -- Raziq was considered an ally by the United States in the fight against the terrorists. In a tweet on Thursday, hours after escaping unhurt from the same attack that killed Raziq, General Scott Miller expressed his condolences over the death of his "great friend". "We had served together for many years. Afghanistan lost a patriot, my condolences to the people of Afghanistan," said Miller, the top US Forces and NATO commander in Afghanistan. "The good he did for Afghanistan and the Afghan people cannot be undone." Miller had been meeting with Raziq in a heavily fortified compound in Kandahar city when a member of the provincial governor's security team opened fire on the high-level gathering. The Taliban described the shooter as an "infiltrator". Raziq and two others, including the provincial intelligence chief and a journalist, were killed in the attack. Another 13 were wounded, including two Americans and the governor. Raziq, who was illiterate and had three wives, had been fighting the Taliban since the terrorists executed his father and uncle in 1994, two years before they succeeded in imposing their oppressive regime over most of the country. When the United States invaded Afghanistan in 2001, Raziq helped defeat the Taliban in the south and was later appointed a district police chief. In an interview with AFP last year, Raziq said the Taliban had targeted him "countless times", adding he could remember 20 of the incidents, including at least eight suicide attacks. Raziq was lucky to survive a 2017 bomb attack that killed six United Arab Emirates' officials, including the UAE ambassador to Afghanistan. He had left the room in the Kandahar governor's compound where the officials had been meeting moments before a bomb hidden in a sofa exploded. "When the Taliban are determined to kill me, my soldiers and my people, I cannot be gentle on them, and I can never forgive them," he said.